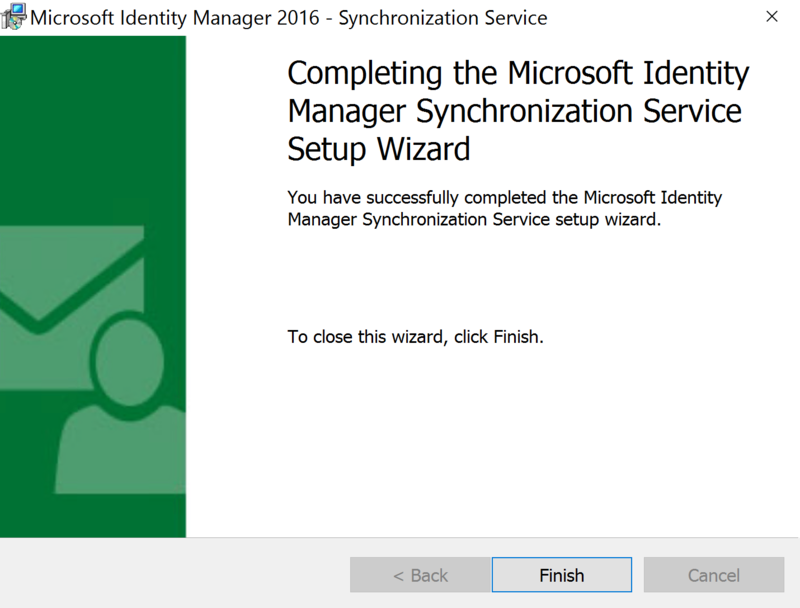 This week I was installing Microsoft Identity Manager in a new environment and wasn’t using my usual scripts that semi automate the process. During the installation of the Microsoft Identity Manager Synchronization Service I got the Error 25009 HResult 0x80131700 as shown below. As mentioned above I normally do this semi-automated but this time I was updating a bunch of that so was starting with a fresh install on a Windows Server 2016 host. Note: Windows Server 2019 isn’t an officially supported platform currently. Re-running the install with an installation log as I detail in this post didn’t help much as the install log did show an error but not too much more. Checking the SQL Server I could see that the login for the Sync Server Service has been created, so that discounted the first two. Looking at the installed applications on the Sync Server confirmed that I did not have the .NET Framework 3.5 installed. Following installation of the .NET Framework, 3.5 re-running the setup got me up and running. 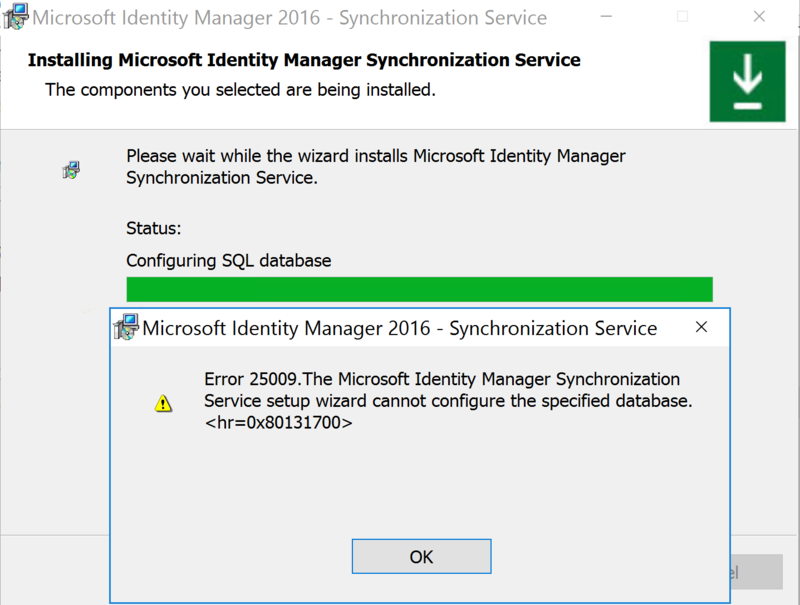 In 2019 installing Microsoft Identity Manager 2016 with SP1 still has the same dependants that Identity Lifecycle Manager had in 2007. 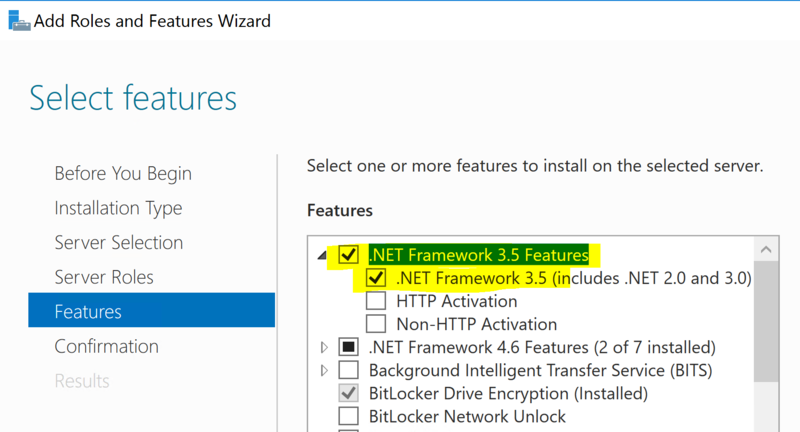 .NET Framework 3.5 however isn’t installed by default on Server 2016 (.NET Framework 4.x is). If nothing else this will jog my memory for next time.